Welcome to Toyota of Puyallup. I am proud to be a second generation auto-dealer: serving the South Sound for more than 48 years. My father was awarded the Toyota franchise in 1970. He was an early adopter of the Toyota brand and their commitment to quality, dependability and reliability. It is an honor to represent Toyota and our shared commitment to excellence in everything that we do. We believe that our employees are our most valuable asset. We are proud to have one of the longest-tenured and professional staffs in the industry. Toyota of Puyallup is the only dealership in the state of Washington to receive Toyota’s prestigious “President’s Award” for twenty-six consecutive years. This award reflects our commitment to We recognize that you are the purpose of our business and your total satisfaction is our number one priority. We appreciate that you are considering doing business with Toyota of Puyallup and we look forward to welcoming you to our family. Glenn Sawyer accepted Toyota Motor Sales’ offer to become Puyallup’s Toyota Dealer. In those days, the full Toyota line consisted of two cars – Corolla and Corona- and two trucks – the Hi-Lux and the Land Cruiser. Toyota of Puyallup continued to grow its owner base from its North Meridian Street location in Downtown Puyallup with the introduction of several new models. During this time the Toyota brand name earned a reputation for quality, dependability and reliability. Toyota of Puyallup became one of the first dealerships to earn Toyota’s newly-established President’s Award. This honor is awarded only to those dealerships who have demonstrated the highest commitment to customer satisfaction. 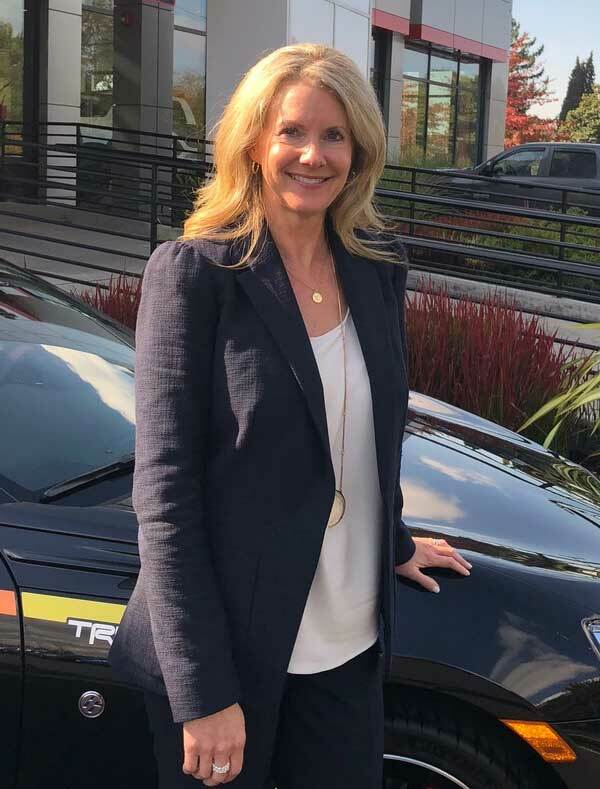 Glenn’s daughter, Kerry began working at her father’s dealership after graduating from the University of Washington. She worked in virtually every department of the dealership and was approved as the dealership’s General Manager in 1995. In 2001, Toyota of Puyallup expanded into a new state-of-the-art eight acre, 43,000 square foot sale and service facility on River Road, not far from the original downtown Puyallup location. 2015 marked the completion of Toyota of Puyallup’s expansive remodel. We expanded the showroom to include a covered, heated new vehicle delivery area, showroom displays, complimentary wi-fi, kids playrooms with iPads, gourmet lattes and much more!